Posted July 29, 2015 by Josette Farrell in News. 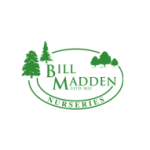 After forty years running a family business that started in 1833, Liam and Carol Madden have decided to close the nursery end of their business. 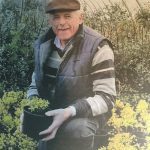 The decision to retire from the nursery business that has been part of the Madden family for three generations was not taken lightly but having considered a number of factors and the couple’s own need to take life a bit easier, Bil Madden’s Nursery on 25 acres of land at Frenchfort, Oranmore will close for business by the end of the summer. However, Liam will continue the landscaping end of the business after the closure of the nursery in Frenchfort. Liam Madden says he has enjoyed his forty years in commercial horticulture and thanked all his loyal customers and many friends they made through the business. “I can honestly say I have loved every minute of developing and expanding our nursery but now is the time to withdraw from that end of things and concentrate fully on the landscaping aspect of my business,” said Liam. The business has not only provided a service in those last four decades but provided employment to hundreds over the years. 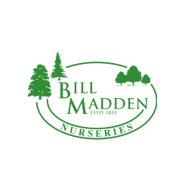 Bill Maddens was established by Liam’s grandfather in Ballinasloe which moved to Taylor’s Hill in Galway City. 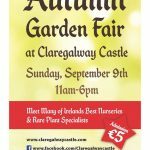 Liam and Carol expanded the nursery business at their own site in Bushypark until they moved to a much larger site in Oranmore. There they had the space to grow a wide range of trees, shrubs and bedding in their extensive nursery. In recent years, as a service provider to Galway City Council, his giant containers of flowers have brightened up the city. The couple have a passion for foliage and all things horticultural and say they enjoyed every minute of the business which means they deliberated for some time over their decision. A sale will take place on the premises in Frenchfort for the next few weeks to sell off existing stocks of trees, shrubs and perennials.